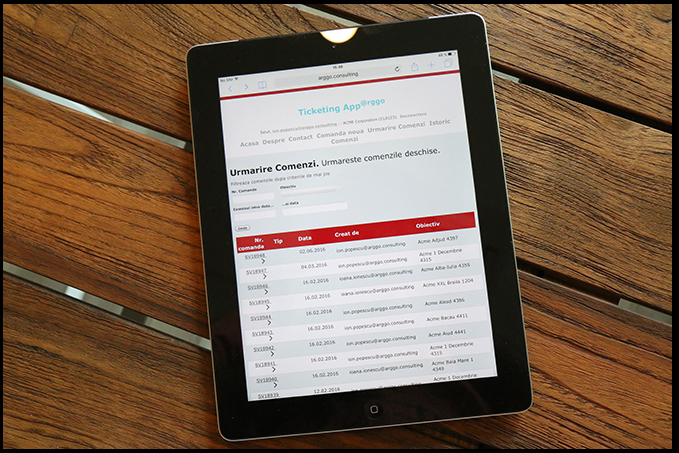 Ticket Web App@rggois a web-based customer support platform available for mobile devices providing flexibility and increased customer care which lead to your client’s loyalization. It was created in order to fulfill the need of an app where a customer can create a ticket ex. of complaint, change of order, placing of order etc., can view its status and track it. • It will be mapped to your needs, in accordance to your business model.